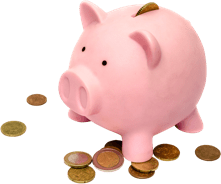 One big reason for that is that it is almost impossible now to grow your savings by leaving them in the bank. Deposit rates continue to snooze at zero per cent or near it. Consumers got some respite last month, with a 0.6% fall in prices compared with August, according to the Central Statistics Office. The drop was mainly due to a reduction in transport costs, in particular falling air fares. That’s to be expected as summer holidays come to an end. But inflation has still eaten away at your spending power over the last twelve months. On average, prices were 0.2% higher compared with a year ago. The biggest causes of this rise were housing (surprise surprise), restuarants and hotels, education and transport costs, all up more than 1% since September 2016. On the plus side, the real basics of food and clothing have substantially reduced in cost over the same time, according to the CSO. What can I do about inflation? Keep reading for a start! 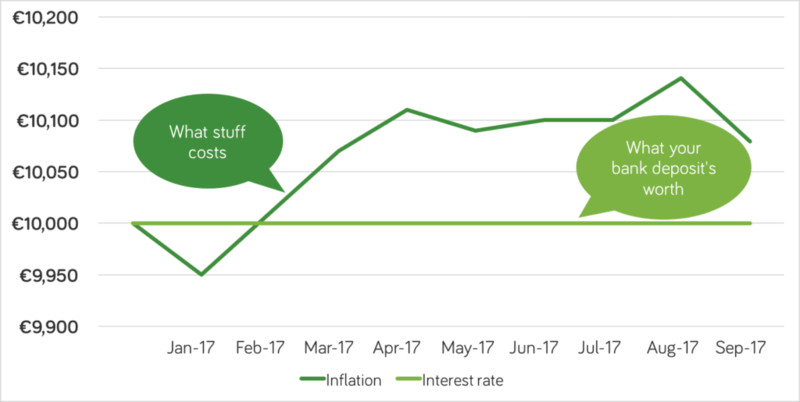 Last month’s inflation eater discussed the options if you have a lump sum you’d like to protect and grow.